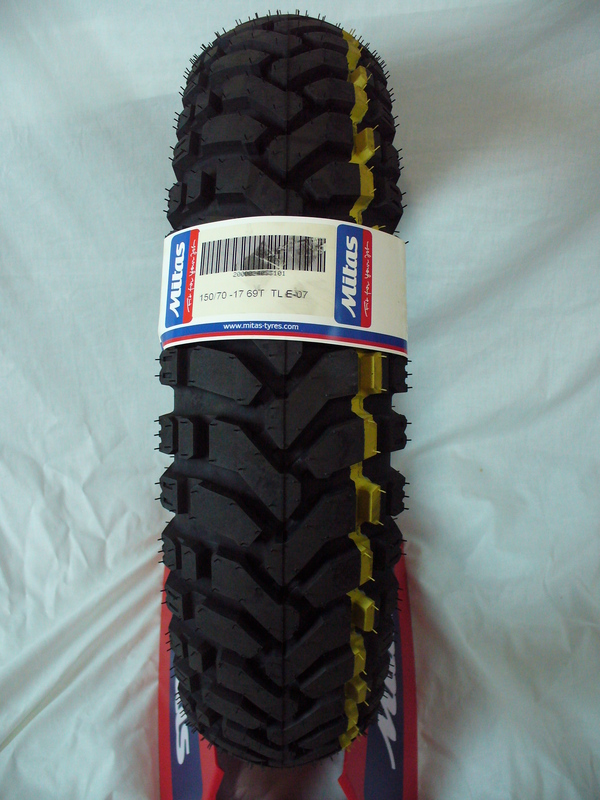 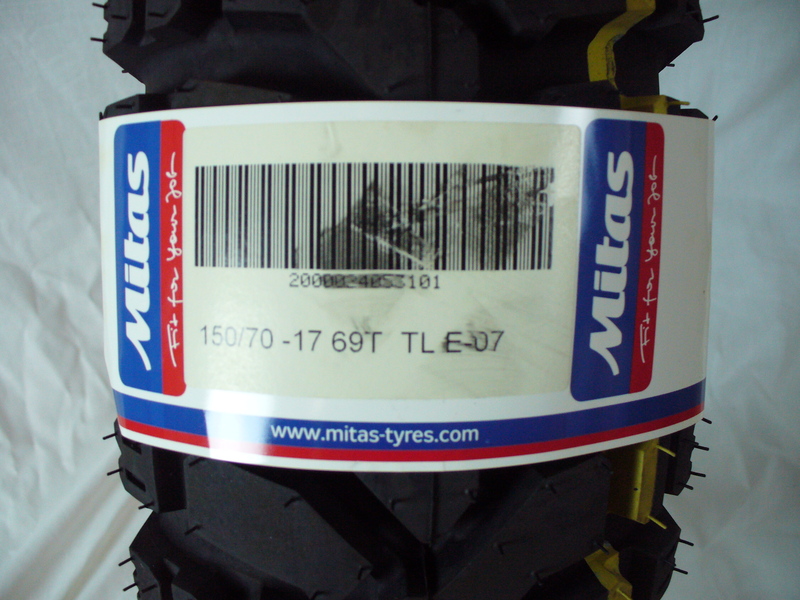 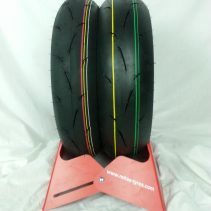 Dakar version tubeless 150/70-17 E-07 Mitas tire. Ask anyone who knows, these tires are long lasting and tough with great highway handling. 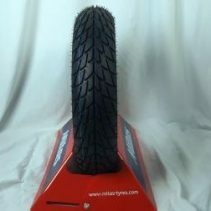 The E-07 is a DOT approved, cross-ply tire designed to perform well on perform well on sealed and unsealed roads, tracks and light to intermediate off-road terrain. Due to the advent of larger adventure-tourers, a need was created for a tire with better traction, higher load capacity and improved high-speed handling which led to this DAKAR version of the E-07. 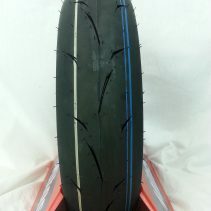 This tire has a reinforced carcass and upgraded compound to make this a nearly indestructible tire.